Do you make salt bars? 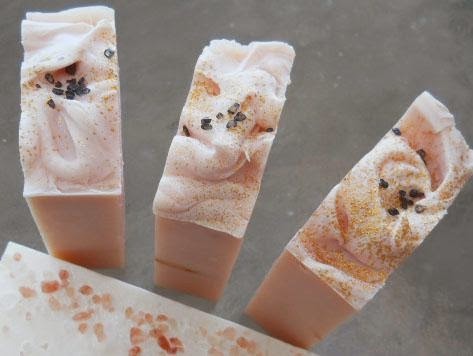 I adore salt bars! Do you make salt bars? 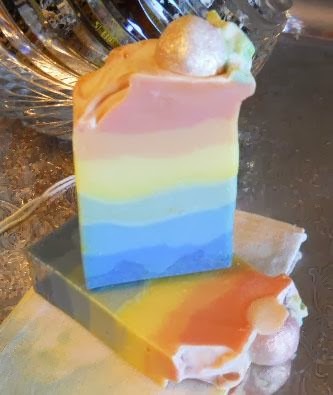 I do and I adore salt soap bars. 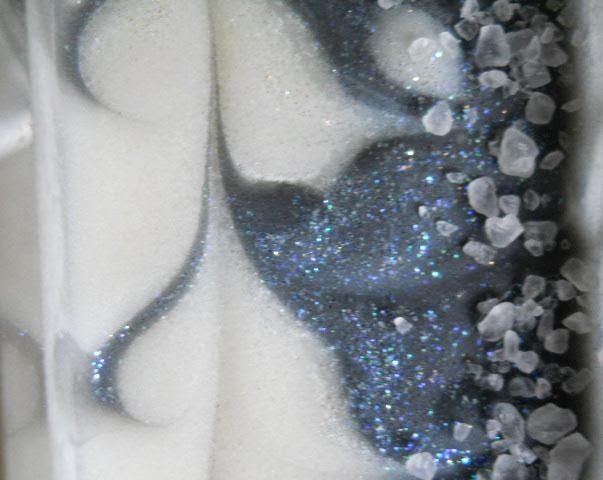 Typically salt soap is used in spas the world over to give our skin the soothing feel of a swim in the ocean but without the sticky after part as we dry! Soothed, polished, relaxed and nurtured is the feeling a salt bar gives my skin. Salt bath soaks full of the minerals of bathing salts are are incomparable and a transformational experience and a time honored beauty aide. A spa bar brings these same benefits to our showers as we fit this bit of luxury for our skin into our busy lives. These bars last a good long time. While the bar is rough to the touch the first or second use (I wear my bar down with a ramie wash cloth or bath pouf) the grainy surface feel soon gives way to a bar as smooth as a tumbled river rock. 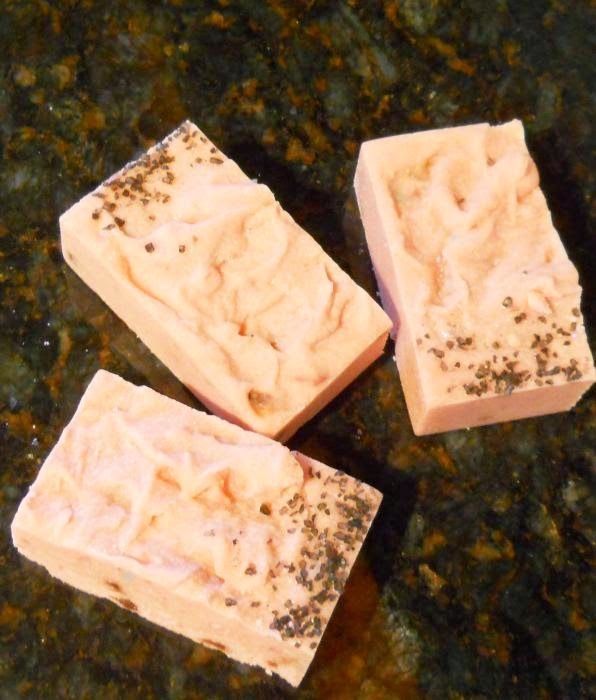 Pampering at it's finest - use a salt spa bar for the shower, for those of us who don't always have time for a soak! 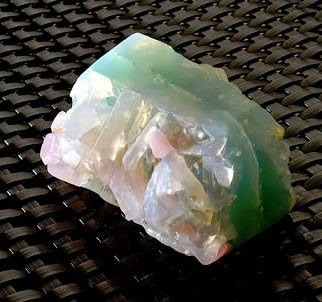 Salt is used in my soap as an adornment in the larger/coarser crystal forms and used in soap in both the fine and smaller grain. 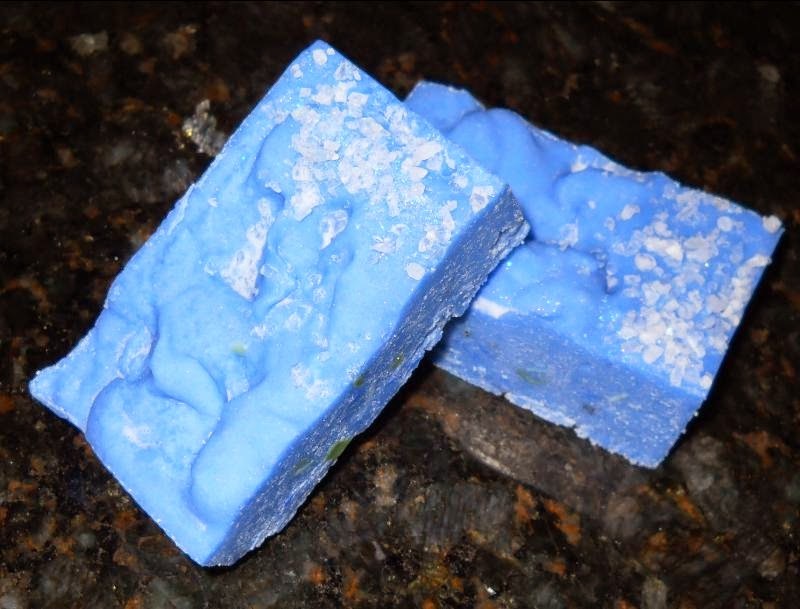 I love the velvet lathers salt soaps work up, a bar made with 90% sea salt! 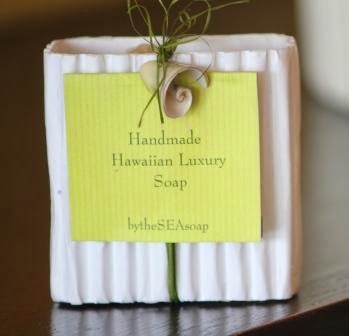 When salt spa bars are made with 100% coconut oil they are able to suds up in salt water so make a fine gift for any seafarers! 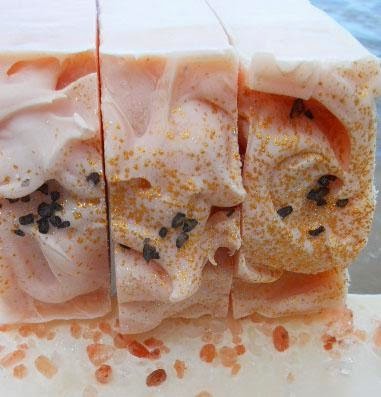 Whether it is the salt or the mineral content of each specific salt be it red, pink or black, salt bar soap makes a wonderful facial as well as a body soap. This velvet lather leaves my face feeling like it's had a refreshing facial! Whether the salt is from a salt mine in ancient inland mountains, an inland sea bed or the ocean itself you will never go wrong with a salt bar! So good and they last a good long time! Salt – The history of salt is fascinating if you have the interest! There have been two main sources for salt: sea water and rock salt. Solnitsata the earliest known town in Europe, located in present day Bulgaria, was built around a salt production facility. From salt trade wars to kingdoms salt has a varied history. It was once the exclusive preservative for food making it such a precious commodity in ancient times. Sodium chloride, is the chemical compound NaCl. Salt occurs naturally in many parts of the world as the mineral halite and as mixed evaporates in salt lakes. It’s largest source is sea Underground salt deposits are found in mountain caves as well as desert valleys like the Bonneville Salt Flats in Utah or the Dead Sea in Isreal. Salt is even present on Mars! 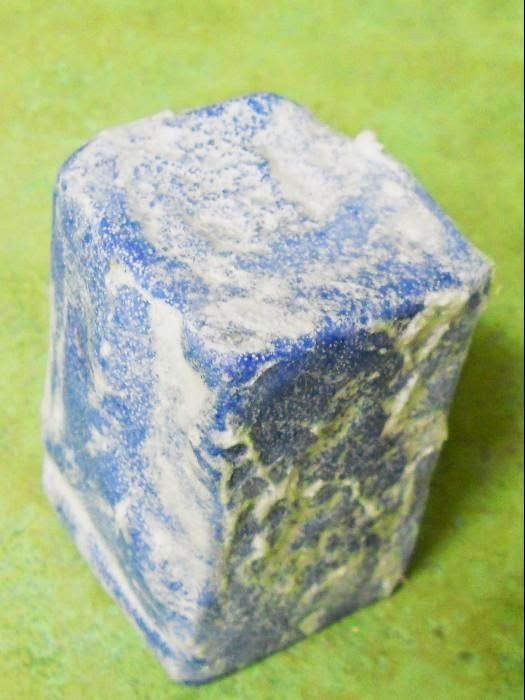 Salt pure sodium chloride 2 properties important in the use of soap are it’s crystal isometric form, cubic and it’s pH in aqueous solution (H2O) us neutral. This pure, hand-mined salt found naturally, deep within the pristine Himalayan Mountains. Crystallized over 250 million years ago, ancient sea beds covered by lava, protecting the salt from modern-day pollution. 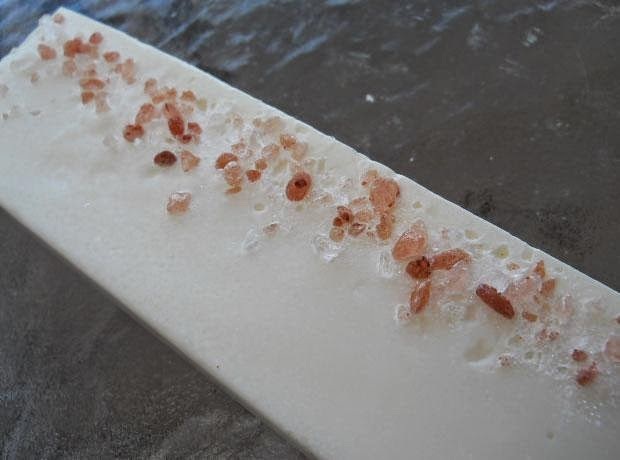 Himalayan Salt - Bricks, Plates and Salt Blocks For the sushi chef in you! Himalayan Pink salt slabs, plates, and bricks are harvested, much like marble in Italy, from deep within the ancient Himalayan mountain range of Pakistan. There, they have remained protected from pollution and impurities for centuries, making this what many consider the purest, cleanest salt in the world. Many beaufitul salts come from the islands of Hawaii! Volcanos and black sand beaches, red clay depositories all have a hand in the making and evaporation of Hawaiian sea salts. 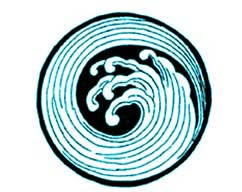 Traditionally Hawaiians use Alaea salt in ceremonies to cleanse, purify and bless tools and canoes, as well, in healing rituals for medicinal purposes. Savor a unique and pleasant flavor while roasting or grilling meats. It is the traditional and authentic seasoning for native Hawaiian dishes such as Kalua Pig, Hawaiian Jerky and Poke. I hope you mix up a batch soon and give these wonderful creations a try! Perhaps you'll be back to thank me! I hope you will drop me a note. Enjoy!